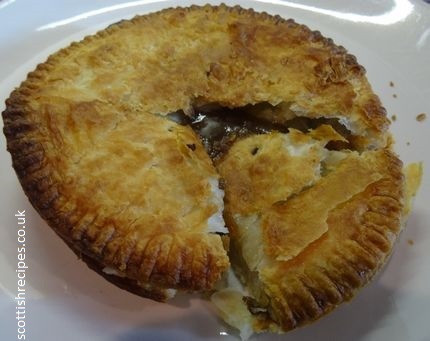 Unlike other pies, the mince round is encased with puff pastry. It usually contains mince and onions though other flavours such as steak or haggis can be used by some Scottish butchers. If you have a mince round recipe that you would like to share please contact me. There are recipes on the Mince and Tatties and Vegetarian Mince and Tatties pages.